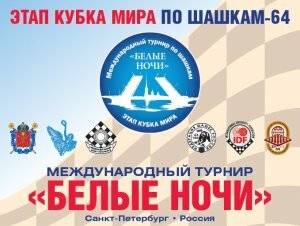 International Draughts Federation (IDF) in accordance with the Calendar of the competitions in 2017 holds from July 22, (arrival day) till July 30, 2017 (departure day) in St. Petersburg (Russia) 3rd Stage of World Cup 2017 in draughts-64 – International competition “White Nights-2017”. 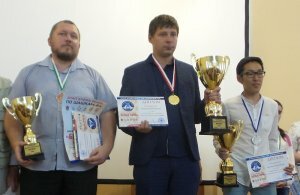 International Grandmaster Sergei Belosheev won Blitz and classic program. See results. 29-07-2017 Classic program of the 3rd Stage of World Cup 2017 in draughts-64 is completed. 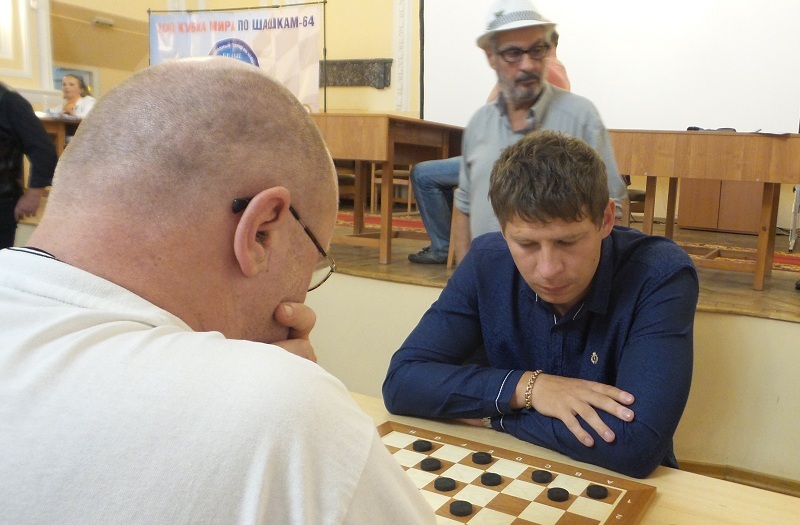 The winner of the stage became current world champion, international grandmaster Sergei Belosheev. 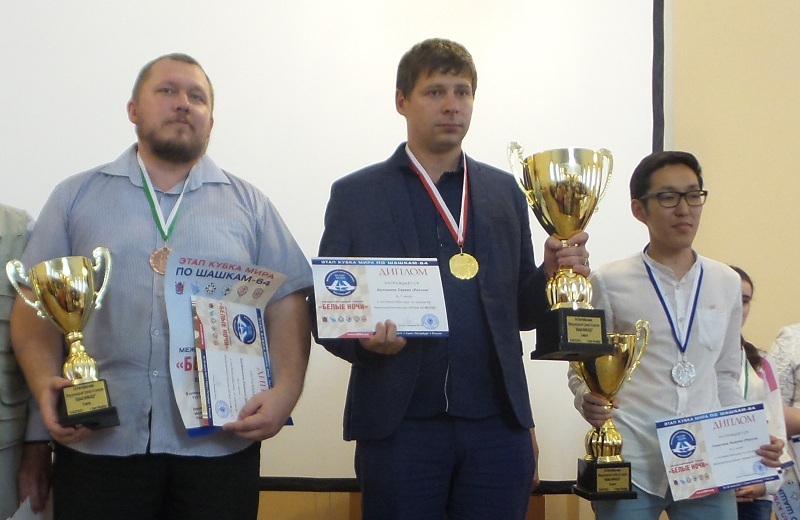 Second and third places were taken by international grandmasters Nikolai Struchkov and Evgeny Kondrachenko. In the standings for women ex-world champion, international grandmaster Natalia Fedorova was the best. Irina Anurina took second place and Kristina Vatolina was the third. 28-07-2017 Before the last round of the classic program Sergei Belosheev lead with 13 points. The win in the eighth round of the international grandmaster Mikhail Fedorov allowed him to break out ahead. Nikolai Struchkov and Evgeny Kondrachenko have 12 points. Kristina Vatolina is the leader among women. 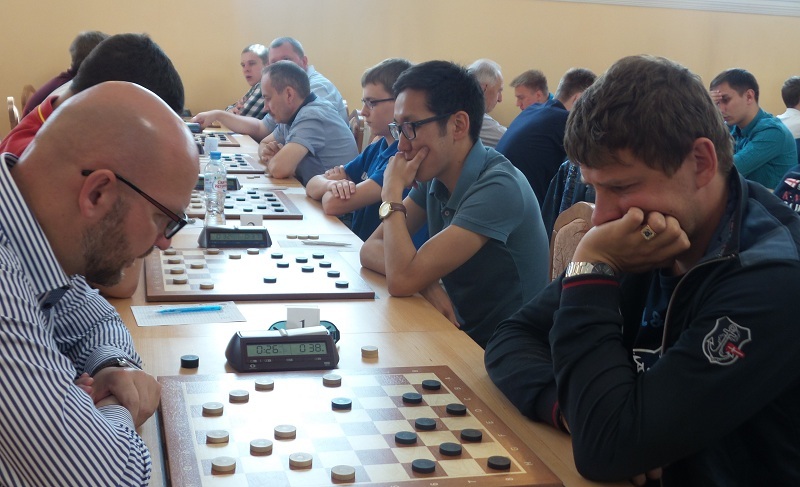 27-07-2017 After six rounds of the classic program with the result of 10 points international grandmasters Sergey Belosheev and Nikolay Struchkov are in the lead. They will play each other in a principled match in the seventh round. 9 points have Evgeny Kondrachenko, Vladimir Skrabov and Nikolai Abatsiev. The best among women is Kristina Vatolina. She has 8 points. Today’s the free day. Participants will be able to see the sights of St. Petersburg – one of the most beautiful cities in the world. 23-07-2017 Blitz program of the 3rd stage of the World Cup started at 17.30. 85 players from 14 countries took part in competition. With the result of 15 points the winner of the Blitz program became International Grandmaster, current world champion 2015 Sergey Belosheev. International Master from Kazan, winner of the Stage of World Cup 2016 in Kazan Denis Shogin took second place. Current European champion 2016, multiple world champion Nikolai Struchkov took third place. Master of sport Mariia Kriskevich from St. Petersburg became the best among women. 23-07-2017 3rd stage of World Cup 2017 in draughts-64 – International competition “White Nights-2017” and youth competitions for boys and girls born in 2001 year and younger (with the offset of the age groups 2001-2003, 2004-2006, 2007-2008, 2009 and younger) started today. Youth competitions have the status of all-Russian competitions (open). Competitions are held with the support of the Foundation for Promotion of Draughts Sports “Russian Draughts”. 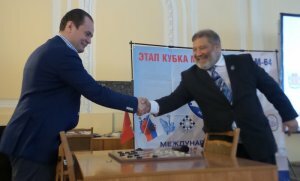 At the opening of the competition, Vladimir Langin presented the signs of “International Grandmaster” Evgeny Kondrachenko (Belarus) and Vladimir Skrabov (Russia), as well as an honorary badge and a diploma for the development of draughts in the world to Boris Druzhinin (Lithuania). Pavel Belov and Vladimir Langin made the first symbolic move, giving an official start to the competition. 16-03-2017 International Draughts Federation (IDF) in accordance with the Calendar of the competitions in 2017 holds from July 22, (arrival day) till July 30, 2017 (departure day) in St. Petersburg (Russia) 3rd Stage of World Cup 2017 in draughts-64 – International competition “White Nights-2017”. 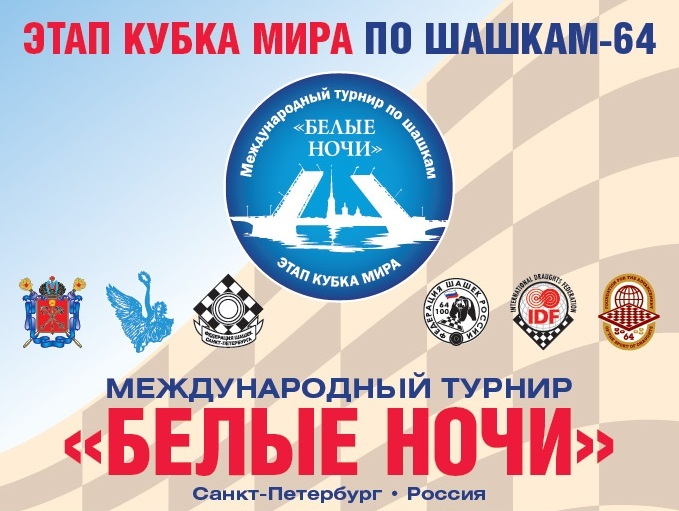 Competitions will be held in St. Petersburg State budget educational institution of additional education “SDYUSSHOR in Chess and Draughts” (Chigorin club) at: Bolshaya Konyushennaya str. 25, St. Petersburg (Russia). Youth competitions for boys and girls born in 2001 year and younger (with the offset of the age groups 2001-2003, 2004-2006, 2007-2008, 2009 and younger). Team standing will be determined in the youth competitions.